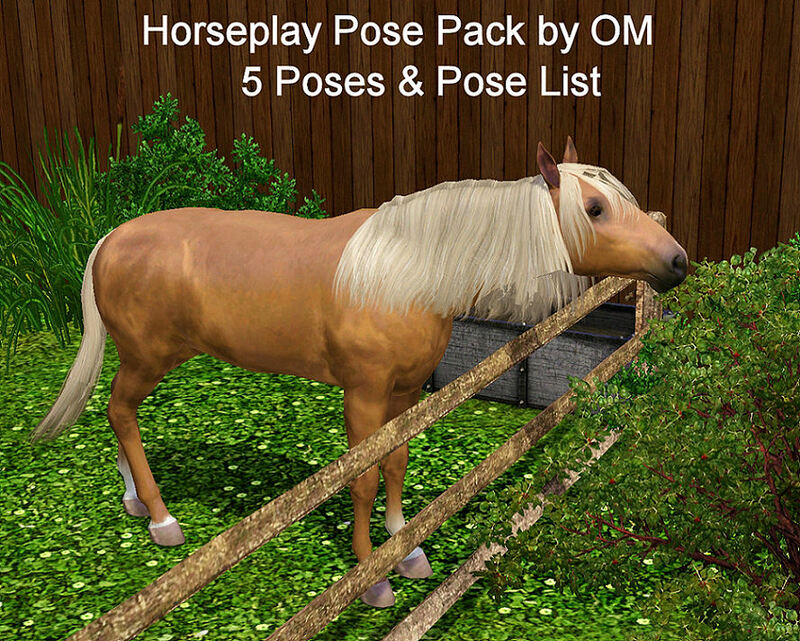 This is a pose pack for your Sim Horses that has 5 poses and a pose list. 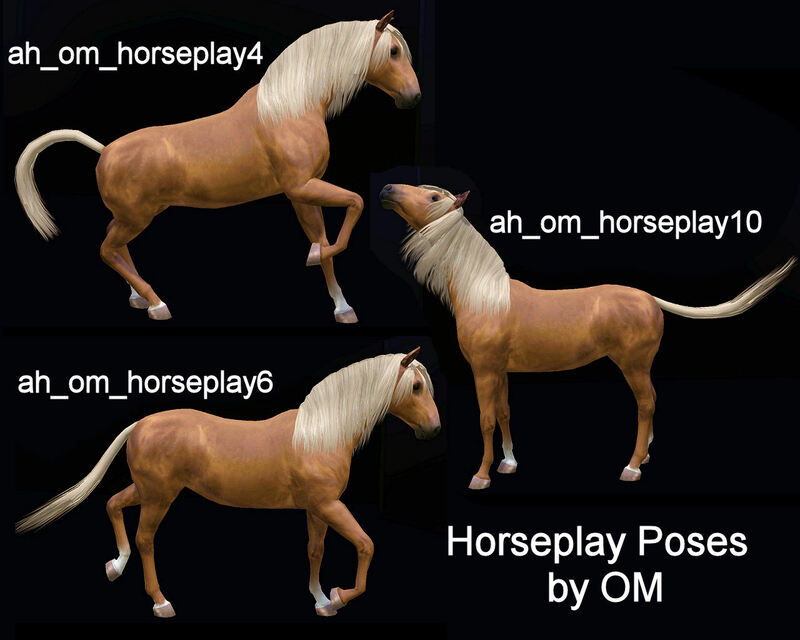 To use the poses just put the .package into your mods folder, buy the Pose Player, and have your horse use it the way a Sim would. These are in-game close-up shots of each of the poses. 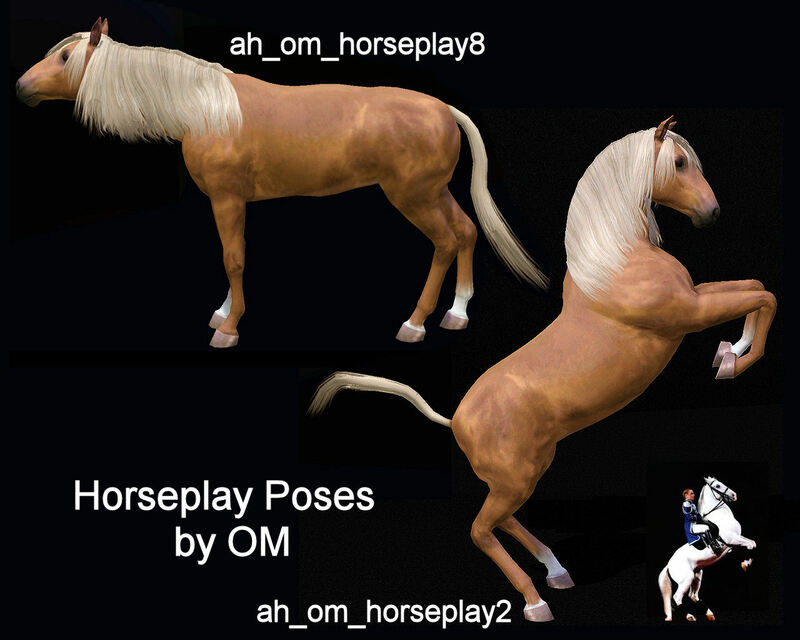 The first pose is based on the famous Lipizzaner Stallions and I've included an inspiration picture next to its close up to show one of these beautiful horses in action.